Welcome to ComplexHipSurgery.com, a free learning resource provided by Professor Alister Hart. Pre-surgical CT planning can be used to optimise implant positioning. With the use of patient specific instrumentation, surgeons can be confident their pre-surgical plan has been achieved. How can you reconstruct the non-reconstructable? Using new technology, Paprosky 3B defects ± pelvic discontinuity can be reconstructed using custom implants. Taper corrosion at the head/taper junction can lead to metal corrosion releasing cobalt and chromium ions. This case identifies a severe pseudotumour caused by taper corrosion. "By using new media to share what we've learned in theatre we can help achieve better surgical outcomes for all." Never before have so many people needed surgery to correct failed hip replacements. There are currently nearly 10,000 operations per year in the UK to fix failed hip implants. With a further 80,000+ people having first-time hip replacements each year, we can expect demand for this corrective ‘revision’ surgery to keep rising. To be ready with the best surgical care, our profession needs to pool knowledge of what works best in revision hip surgery. In my role I lead two teams — one doing hip surgery, the other researching better methods. With this site I want to share the work of both teams, using high definition film and radiograph images to reveal insights, innovations and techniques of our work in tackling complex cases. Hip implants often fail where they connect with the acetabulum, and surgeons must create a stable mechanical construct between the implant and host bone. 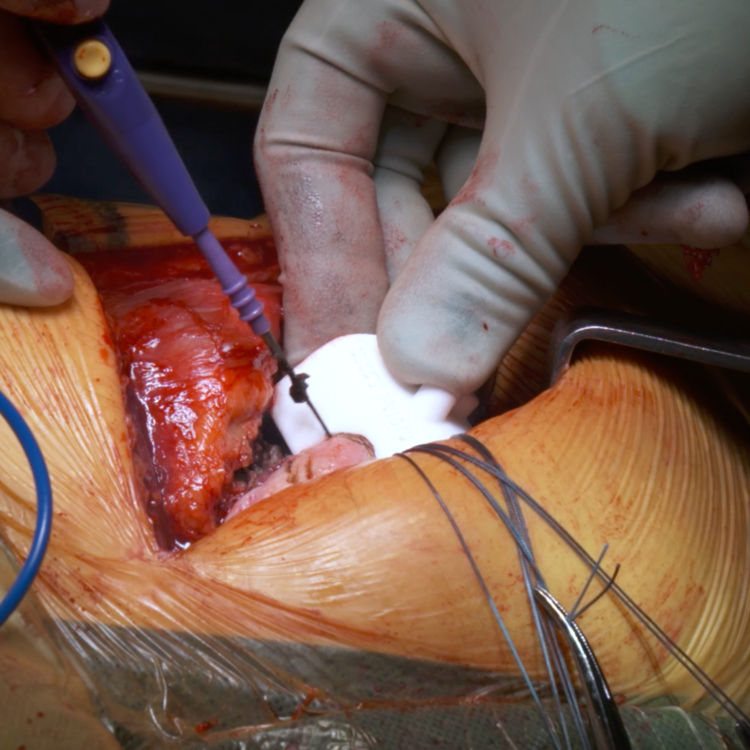 Femoral reconstruction can pose a particular challenge for surgeons due to bone loss from previous surgery, infection, fractures and osteolysis. Learn about a compelling selection of cases in diagnostic imaging, metal debris disease, patient specific instrumentation and developmental dysplasia of the hip.